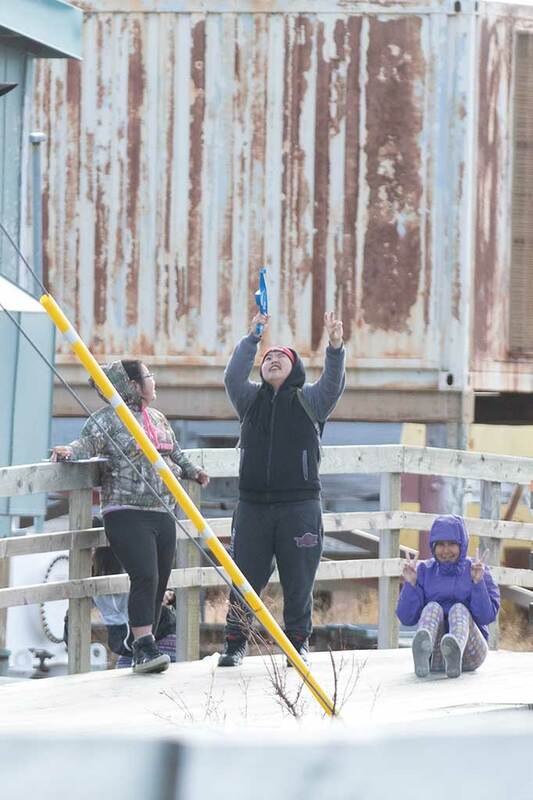 Rockets launched in Nunapitchuk - The Delta Discovery, Inc.
Nunapitchuk, AK – After a long wait for a clear, calm day, the students and staff of Anna Tobeluk Memorial School in Nunapitchuk were treated to a model rocket launch on Friday, May 11. Secondary mathematics teacher, Lonny Cruff, has coordinated this event for the past three years and said this year was the best yet. In addition to the task of building and launching the models, the Geometry class also measured the angle of altitude and brought that data back into the classroom, and used it to calculate the altitude in feet using trigonometric formulas. It was a morning of awe and laughter for the crowd of student and staff spectators. As rocket parachutes fell back down amongst them, several students were heard to say that they hope to get into a high-level math class so that they could one day be out on the launch deck.